For those of you who follow my posts closely you will know that Maya has had her emotional ups and downs lately about what she can’t do. She has been less receptive to us redirecting her to to look at her strong suits. But, regardless of what has been feeling recently, she clearly still has some really positive self-perceptions too! We have always strived to approach and convey to Maya our deep acceptance and love for her, encourage her and gently help her to focus on what IS available to her. I think some of this has sunk in over time. After she shared her feelings with me and I agreed, I could hear her exhale with relief and realized what an important conversation this was for both of us. 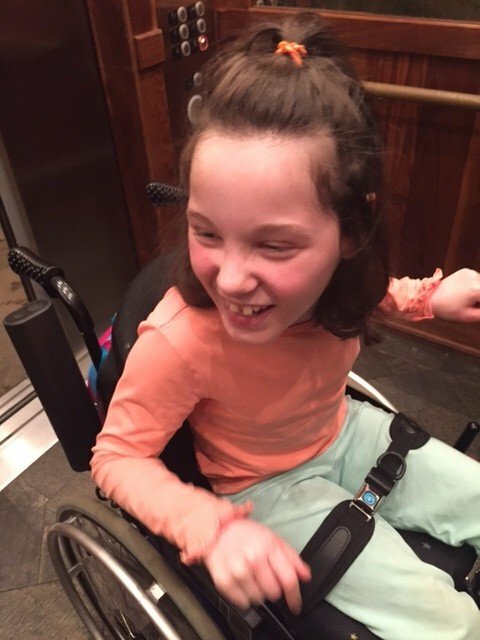 Previous postMaya shapes her identity as a young girl with cerebral palsy Next postO-R-E-O cookie milestone! This very useful tip. I manage an organisation that helps over 2000 children and their parents annually.